Leigh has worked in hospice and palliative care for over 22 years. She has been responsible for the start-up, and administrative & operational management of home and community-based services in eastern Pennsylvania, Delaware and Maryland. Beyond operational management, Leigh’s experience ranges from budget management and planning, to ensuring operational compliance with state and federal regulations. 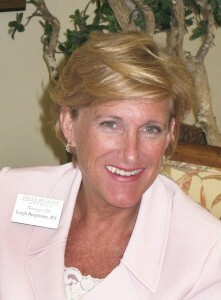 Prior to entering the nursing profession, Leigh attended Franklin College in Lugano Switzerland, The Mercy Hospital School of Practical Nursing in Miami, FL and The Chester County Hospital of Nursing in West Chester, PA.
FHPCA: What is your “not to be missed” inspirational or motivational work (book, article, or podcast) for this year? LEIGH: Lean In by Sheryl Sandberg is always a great read. FHPCA: What will be the most exciting or vital element about your session? LEIGH: Q and A is usually the most interesting and fun. LEIGH: I like to play golf and tennis on weekends, but usually just end up vegging out after work on weekdays. Feel free to lie and say I go to the gym, and do push ups!! Leigh’s session entitled “Compliance For Everyone Else” is for all Hospice disciplines and will be a general overview, for those who do not work in the Compliance discipline, of what a compliance program looks like. This session will help attendees to learn how regulations impact non-clinical departments, and ways in which attendees can help their hospice organization to be complaint. Leigh will also be leading a session entitled “Training for Effective Communication.” This session will also be for all Hospice disciplines as well, and will be an analysis of one Hospice organizations journey through a program that they designed to improve compassionate communication and clinical behavior. Leigh will be talking about the challenges and successes that the organization had in implementing communication improvement program.